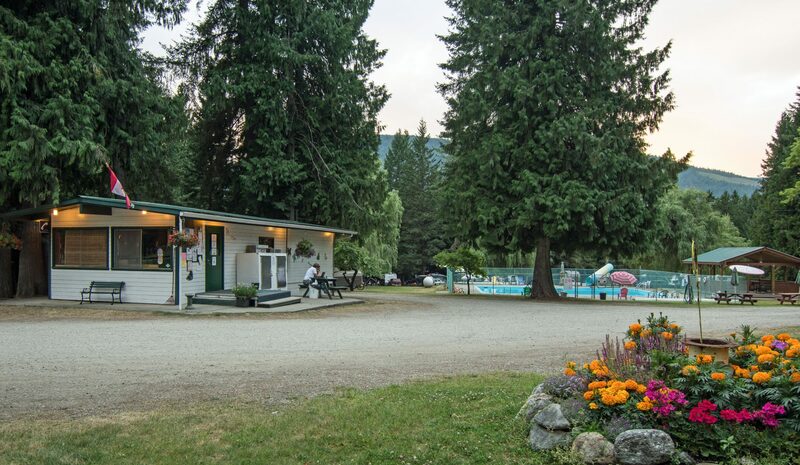 Whispering Pines is a family oriented pet friendly RV and tenting campsite located 3 km south of Mara Lake, in the Shuswap of British Columbia. Our campground has been operating for nearly 55 years! It is old school camping (not much is perfectly level so bring levelers and connection extensions!). It is situated on 11 acres of beautiful open grass fields for plenty of room for play, and surrounded by old growth Cedar, Pine and Willows, Walnut, Cherry, Pear, Apple and Plum trees for privacy and shade. We are bordered on the north by Johnson Creek, Highway 97A to the east, and by farmland to the west and south. Our 2019 season starts May long weekend and closes September 15th, 2019. Pool opens mid June, weather permitting. Please note the slide in the photos is no longer in operation. Store opens May long weekend with limited hours. No peeing or pooing on the grass fields. Walk your dog along the dirt roads to do their business and pick up waste immediately afterwards. Dogs bark once in a while, but consistent barking will not be accepted. We do not have a dog off-leash area (yet). Tents are not permitted on the same site as your RV unless it is a small 2 person tent for young children staying with the family in the RV. The tent must fit within the boundaries of your RV site. Vehicles:One vehicle per site (some exceptions may apply). Extra vehicle parking available $5 a night for a spot assigned by the office. Visitors: Due to limited capacity of the park we may not have enough space for day visitors. We charge a visiting fee of $5 per person which includes parking fee. And they must park in a spot assigned by the office – not at your site. Maximum – 6 people per site. Family reunions – we have room for family reunions during the month of June until mid July, and then again mid-August to September closing date. We are located at 11 Hamilton Road, Mara, BC. 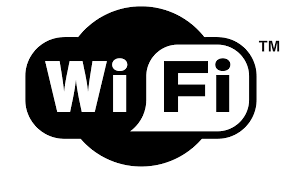 Free WiFi for the 1st Day (low-speed), high-speed available for $5/day. Available at pool/store area only, no wifi available at sites. Prices include 2 adults/2 children with extra adult $6 a night extra child $3 a night. Price includes 1 vehicle per site (maximum 1 per site). We will now have extra vehicle parking available at $5 a night for extra vehicles but must park in site assigned by the office. Our campground has character! Be prepared –bring levelers and connection extensions for services. Check OUT is 11:00 am Check IN is 1:00 pm to 8:00 pm (dusk) – for safety and security reasons no check ins after dark. Please do not arrive early as we do not have extra parking for RVs. Maximum 1 vehicle per site, extra vehicle or visitor vehicle $5 a day. Parking spot assigned by the office. Visitors are charged $5 per person to visit, and must park their vehicle in a spot assigned by the office. Visitors must leave before dark. No tents on RV sites unless it is a small 2 person tent meant for young children and must fit onto the RV site – not onto the grass field or elsewhere. Cancellation Policy: Full payment required upon booking on line. Plus a $5 booking fee. Mara Lake is the most southerly lake in the Shuswap chain and is home to some of the finest house-boating, fishing, swimming, Motor Biking, and water sports area in BC. Check out the Shuswap Tourism site for more information. There’s a provincial boat launch located 3 minutes north of the campground and we have boat trailer parking located on site for your convenience. Things to do: motorcycling touring, golfing (4 golf courses within 20 min drive) biking, Mountain Biking in the Shuswap, ATVing, horseback riding, paddling, rafting, rock climbing, scuba diving. The Burger Boss has arrived! Burger Boss coming To the Pines July!! For those of us who like to take a day off cooking there is relief!! Burger Boss is coming to Whispering Pines July 5-18th and 23-31st. He brings all types of yummy food -burgers, fish tacos, poutine, onion rings, and more!